Brachytherapy is an advanced radiation treatment for cancer in which radioactive source is placed in the form of seeds,wires and ribbons directly into or near the cancerous tissue.It is also known as an internal radiation therapy by which tumor is targeted with high dose of radiation that kills cancer cells by damaging their DNA. As a consequence the tumor shrinks in size since the cells now stop dividing and eventually die. The good part of the brachytherapy is that the surrounding healthy tissue is spared to a large extent. The term “Brachy” has been derived from a Greek word that means”Short distance”.Brachytherapy may be used alone or in combination with other cancer treatment modalities for best outcome. Temporary Brachytherapy is a source of high dose radioactive material to treat cancer. 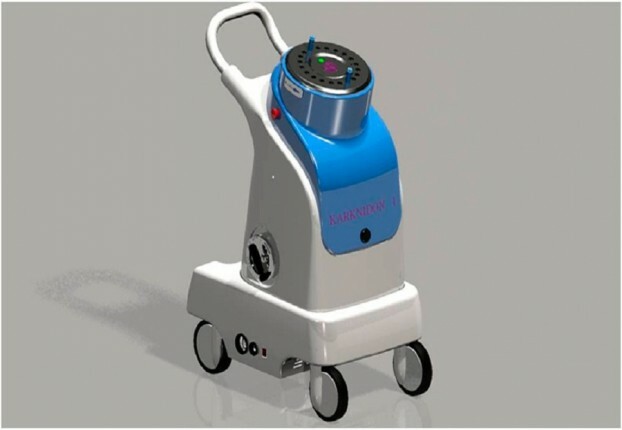 A delivery device such as the bronchoscope is put inside the body to get as near the cancer as feasible to deliver high dose radiation to the affected area for several minutes. Once the treatment is done, the radiation source would be taken out. Permanent Brachytherapy is a source of continuous low dose radiation. Radioactive seeds are implanted in your body directly inside or near the tumor and they give out continuous radiation of low dose. The seeds will gradually get weak and stop giving out radiation. It is also called Seed Implantation and seeds are that of the size of grains of rice. Brachytherapy can be used to treat the following types of cancers. Radiation Dose delivery is optimal and precise. Surrounding healthy tissue is spared of the radiation effects. Short duration of treatment resulting in patient compliance and convenience.